Steffy wonders if Brooke will go back to Ridge if she leaves her marriage. She notices the wedding ring is gone. Steffy presses Brooke for answers about which direction she will go. Brooke wonders how far Bill will go to get what he wants in the future. Steffy reiterates that everyone makes mistakes. She warns Brooke she could lose Bill forever. Bill barges into Ridge&apos;s office. He tells Ridge to respect his marriage since it&apos;s still intact. Ridge wants to know what Bill did to drive Brooke away. He teases that he must have done something big. Before he leaves, Bill sets Ridge straight that he&apos;s the man for Brooke. Liam comes by Spectra. He invites Sally to San Francisco to meet with the Spencer architects. He explains that she can concentrate on her business if someone else is worrying the rebuilding process. She vows to repay him. She can&apos;t thank him enough. Ridge drops by Brooke&apos;s to tempt her with lunch. She declines and admits she&apos;s tired. He tells her to take as much time off as she needs. Although he has told Brooke he wouldn&apos;t push, Ridge tells her he loves her and will be waiting for her. 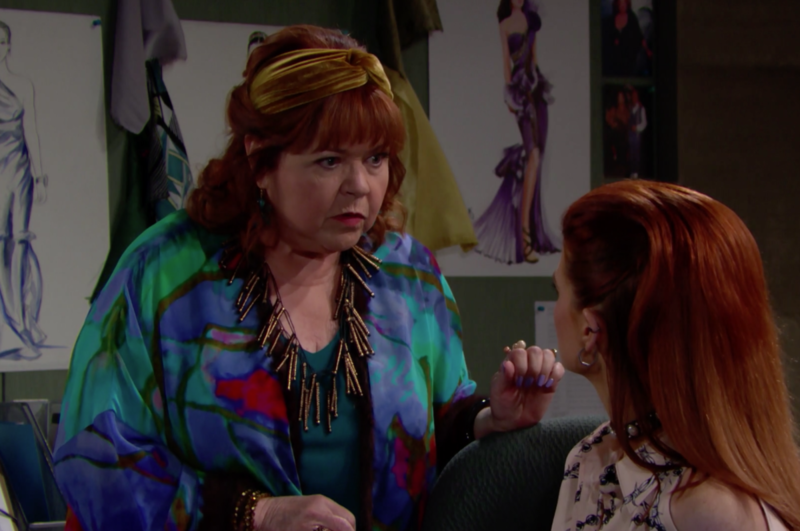 Shirley questions why Sally has to go all the way to San Francisco to get architects. In the end, she&apos;s more thrilled that Sally is going to be hanging out with the rich, powerful, and scrumptious Liam Spencer. Sally wonders how Steffy will feel about that. Shirley tells Sally if she wants him, she has to go after him. Steffy goes to Spencer. She rehashes her conversation with Brooke. Steffy&apos;s tune changes when she finds out Sally is going to San Francisco with him. He explains the retainer is nonrefundable so he&apos;s letting Sally use the firm. Steffy doesn&apos;t understand why Liam needs to help her. Liam reminds her he&apos;s fixing his father&apos;s mistakes. Steffy tells Liam he&apos;s helped Sally way more than she deserves.